To our great relief, Typhoon number 24 has passed through Nagano leaving swollen rivers but little in the way of real damage. Not to be outdone, Number 25 looks set to hit southern Japan next weekend, but probably won’t trouble central Japan too much. 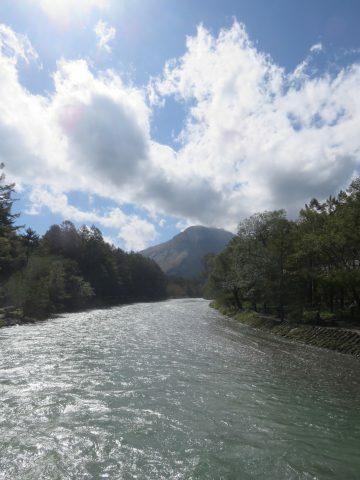 In the wake of the typhoon activity, the Azusa River is looking broader and deeper and regaining its distinctive crystal blue color. The brownish tint that the water sometimes takes on after storms is a sign of sediment being drawn to the surface. 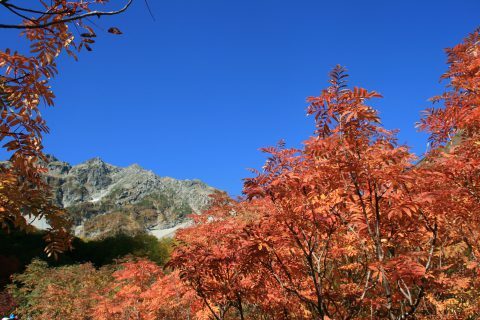 And seemingly in sympathy with the famous river, the skies above Kamikochi have turned to deepest azure as a fresh waft of autumn fills the air. 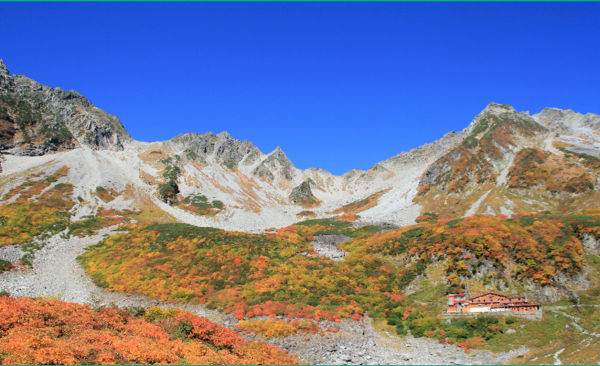 The above picture shows the view of the Karasawa ridge line as seen from the direction of the Karasawa Hyutte. Below and to the left of the ridge, is the Karasawa Goya, another popular place to stay. As you can see, the hillside is sporting a nice pallet of autumn color and we can expect something similar for the rest of the week. 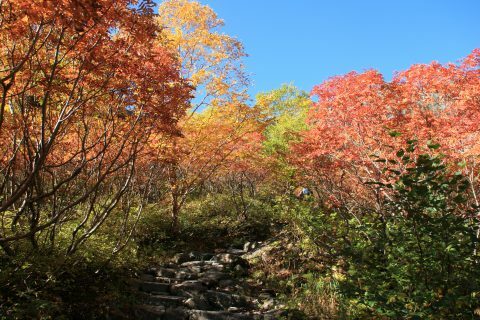 After that, colors will have faded and the peak viewing spots moved further down the mountain. As the bloggers at National Park Guide helpfully remind us, October has brought chiller temperatures to the park, with early morning lows dropping to around the 5 degrees Celsius mark. The mercury might still climb to around sixteen degrees, but we urge you not to get caught unprepared. 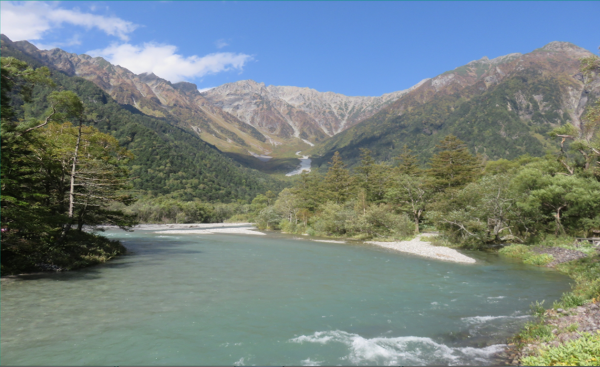 Dress warmly and wear appropriate footwear to get the most out of Kamikochi’s trails!